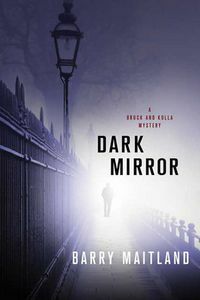 Dark Mirror by Barry Maitland: Synopsis and Online Purchase Options. Synopsis (from the publisher): Newly promoted to Detective Inspector, Kathy Kolla of the Serious Crimes Unit is called in by the forensic pathologist regarding the recent sudden death of a London student from what he's determined to be arsenic poisoning. Marion Summers had no reason to be in contact with arsenic and, though once common, arsenic is now very hard to get hold of. The more Kolla investigates, the more she discovers that certain other things about Summers are also unusual. She moved three Octobers ago without leaving a forwarding address or informing her relatives. And her step-father has a disquieting past and, after attacking a constable in a pub, a not-so-savory present. With each turn in the investigation, it becomes increasingly clear that behind what really happened—and why—lies the most difficult-to-crack case the team has ever faced.